Although the 2019 Kia Rio is a cheap ride, it's far from just a basic means of transportation. This subcompact car's great safety scores and unexpected passenger room make it a good choice for budget-minded families. Responsive handling also enables the Rio to offer a surprisingly fun driving experience. While the sedan version gives you the security of a trunk, some drivers will be lured by the hatchback's extra storage space. Does the new Rio stand apart from the competition? This year, Kia decided to reduce the number of available trims. Sadly, a manual transmission will no longer be offered. On the bright side, buyers now get more equipment for their money. Every new 2019 Kia Rio comes equipped with a 1.6-liter, four-cylinder engine. It develops a total of 130 horsepower. Although the Rio isn't fast, Kia tuned it to develop good acceleration around town. This is among the reasons why the Rio is such a highly recommended city car. You will be able to effortlessly scoot from one traffic light to the next. The six-speed automatic transmission does good job of keeping the Rio in its ideal powerband. The 2019 Kia Rio rides far better than the typical economy car. Its suspension system makes harsh roads feel a bit smoother. Although the Rio is geared towards urban dwellers, it rides smooth enough for highway trips. Surefooted handling further separates the Rio from most cheap cars. Despite the Rio's basic tires, it feels very controlled. Drivers will certainly like its thick-rimmed steering wheel, which enables you to maintain a sturdy grip. Folks in the market for a small commuter car aren't looking to spend a lot of money on fuel. While some cars in the class are better on gas, the 2019 Kia Rio certainly fits the description of an efficient vehicle. According to the latest EPA ratings, drivers can expect the Rio to return around 28 mpg in town and 37 mpg on the freeway. Of course, you'll be able to fill the tank with regular 87 octane. 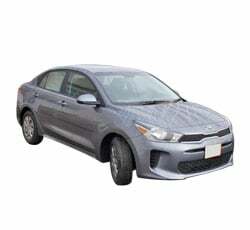 With a starting price of just over $15,000, the 2019 Kia Rio is perfect for young people just entering the job market. 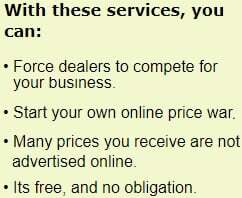 It's also great for the families looking to save cash. Kia's 100,000-mile powertrain warranty covers the engine and transmission for quite a long time. There's also just enough standard equipment to keep you satisfied. Some of the most important features include a 5.0-inch touch screen, heated mirrors, SiriusXM radio, and a rear-camera display. For the price, the Kia Rio is not a bad-looking car. While you are forced to go without a cool set of alloy wheels, most people consider the Rio to be a rather attractive ride. It's front fascia looks especially sporty. A mesh grille comes standard. If you step up to the S trim, you'll be rewarded with LED headlamps and LED Positioning Lights. Premium colors, such as Aurora Black and Currant Red, further help liven up the Rio's appearance. Subcompact cars are great for driving from point A to point B. However, the 2019 Kia Rio isn't just a cheap ride for college students. It also proves to be an accommodating family vehicle. Once you step inside the new Rio, expect to be surprising by its generous amount of passenger space. This car will have no trouble hauling around four adults. There's also enough room in the center console to store smartphones. In the past, small cars were deemed by many to be less safe. Fortunately, things have changed for the better. Chosen as a Top Safety Pick+ by the IIHS, the Kia Rio definitely aces the most critical crash tests. Its front crash prevention is considered by the IIHS to be superior. The available LED headlights also received a good rating for nighttime visibility. Opting for the Technology package equips the S model with automated emergency braking. In order to get Kia's upgraded infotainment system, you must step up to the S trim. It comes equipped with a noticeably larger 7.0-inch touch screen. You'll also receive Apple CarPlay and Android Auto smartphone support. Because the voice controls work so well, you're don't have to divert your attention away from the road. Although the 2019 Kia Rio doesn't offer a cutting-edge stereo system, a more pleasing system is found on the S model. It features a total of six speakers with front tweeters. Music listeners give the system a high rating for its clear sound clarity. Although the system may not produce a lot of deep bass, there's not any distortion. Along with the upgraded infotainment system comes UVO eServices. This technology allows you to start the Rio via your smartphone. 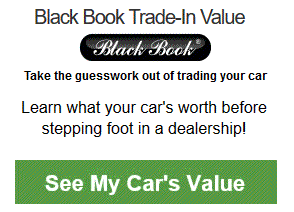 You can also use it to obtain vehicle diagnostics. Furthermore, UVO eServices helps parents to track their teenagers. Some drivers considered the Kia Rio's manual transmission to be one of their favorite features. It actually gave the car a sportier feel on the road. Unfortunately, Kia opted to do away with the manual gearbox. This means all models now come equipped with a six-speed automatic. If you like shifting gears with a manual, consider the 2019 Honda Fit or the 2019 Ford Fiesta. Although the base Rio LX is a good value, it's missing some modern components. You won't have access to power windows or cruise control. To operate the windows, passengers must manually roll the windows. Meanwhile, the absence of cruise control makes the Rio less rewarding to drive on extended highway trips. Most of today's cars come standard with these features. Kia decided to ax the EX model from the lineup. This may disappoint the drivers who are seeking just a bit more luxury. The range-topping Rio EX came equipped with niceties such as a tilt-and-telescoping steering wheel, a leather-wrapped steering wheel, and upgraded upholstery. You may also miss the EX model's more stylish 15-inch alloy wheels. Navigation is not available for the 2019 Kia Rio. If you happen to be traveling to an out-of-town destination, you may have to use your smartphone's GPS system. Don't expect the 2019 Kia Rio to match the luxuriousness of a BMW 5 Series. Like most economy cars, the Rio puts a big emphasis on saving money. Upgrades, such as premium leather upholstery and digital gauges, are simply not offered. The 2019 Honda Fit is one of the Kia Rio's closest competitors. Both of these subcompact cars have a high predicted reliability rating. While the Honda Fit is a very good choice, it does cost more than the Rio. Don't forget to also test drive the 2019 Ford Fiesta. You may fall in love with the Fiesta's sportier performance. The racy Fiesta ST is a good alternative to a sports car. However, a tight interior makes the Fiesta a less satisfying car for families. The 2019 Nissan Versa is among the least expensive vehicles in America. A lot of people are drawn to the Versa's roomy interior. Unfortunately, you won't get much excitement from driving the Versa. If you're looking to keep your car payments low, the 2019 Kia Rio is certainly a solid option. It's a good car for running around town. Great warranty coverage further elevates the Rio's appeal. While you can save some cash by choosing the base model, don't hesitate to step up to the better equipped Rio S. There are a few downsides to the new 2019 Kia Rio. 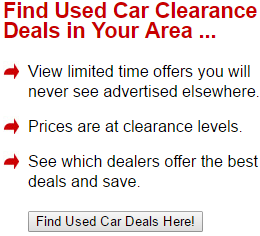 With the discontinuation of the EX model, buyers now must forgo a lot of premium features. Furthermore, a manual gearbox is not available on the 2019 model. • Why Buy a 2019 Kia Cadenza? • Why Buy a 2019 Kia Forte? • Why Buy a 2019 Kia Niro? • Why Buy a 2019 Kia Optima? • Why Buy a 2019 Kia Rio? • Why Buy a 2019 Kia Sorento? • Why Buy a 2019 Kia Soul? • Why Buy a 2019 Kia Sportage? • Why Buy a 2019 Kia Stinger?